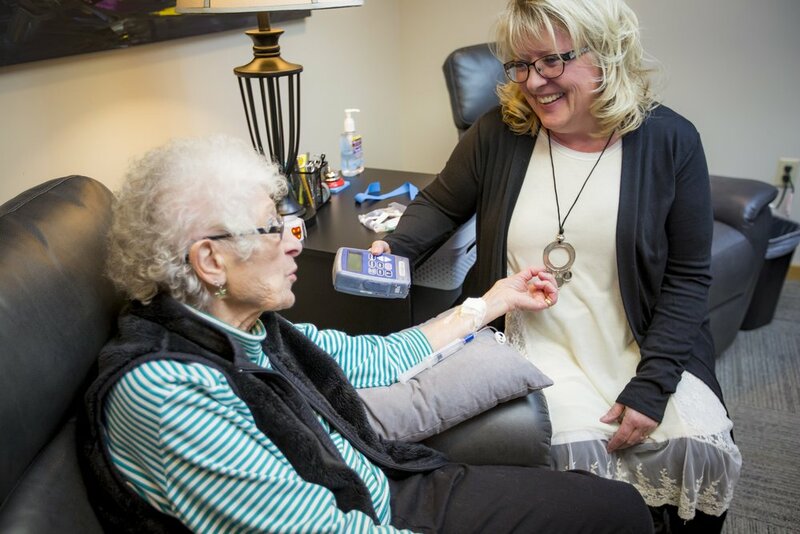 The mission of All Heart Infusion is to provide the full continuum of care (body, mind and spirit) for people of all ages and stages of life, educating, inspiring and empowering them to be their own advocate and live the fullest life possible. Our vision is to provide patients and families with compassionate, individualized care, no matter their ability to pay, while going beyond treatment standards and striving to improve their quality of life and spirit. We lead with our heart, we care with our heart because we are All Heart Infusion. At All Heart infusion it is important to us to provide the highest quality of care to all patients, if you are interested in donating funds, time, materials, or anything else please go to the contact us page and send us a message. We are now able to accept donations and you can do so by clicking the donate button at the top of this page. If you prefer to send a check, please make your check payable to All Heart Infusion, our mailing address is 601 S. Division Suite B Spokane, WA 99202. We received our 501(c)3 approval and you can read the letter by clicking the link below. We are registered on AmazonSmile in order to make us your charity of choice click the link below.